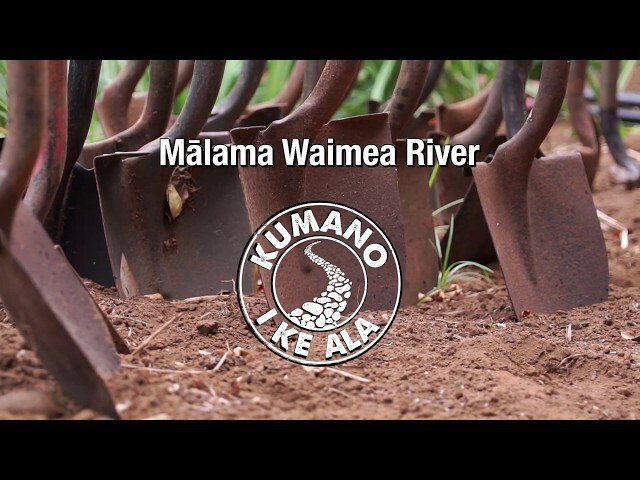 Kumano I Ke Ala is a 501c3, non-profit organization located on Kauaʻi in the ʻili of Kakalae, ahupuaʻa of Makaweli in the moku of Kona. Makaweli Valley is located on west side of the island and was once home to a thriving agricultural community where loʻi kalo (wetland taro patches) flourished. As time has passed, the industry of mahi ʻai kalo (taro farming) and other traditional forms of Native Hawaiian agriculture has diminished greatly. However, as there is an increasing need for food security throughout Hawaiʻi and communities are clamoring to find ways to implement sustainable means of agriculture, the footprint of what once was in this valley still exists. Our vision is to empower a sustainable west Kauaʻi and restore its cultural resources. Our mission is to build a foundation of Aloha ʻĀina through Native Hawaiian cultural education to grow self-directed, critical thinkers for a sustainable West Kauaʻi.